Sometimes, you look at something and say ‘That’s Really Cool’. 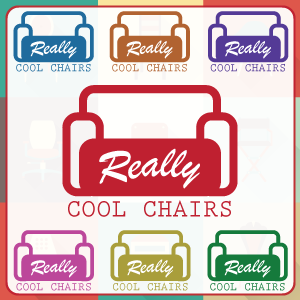 Here at Really Cool Chairs, we are driven to promote cool chairs and other seating options that excite, delight, intrigue and inspire you. Chairs are no longer just a piece of furniture, they are a fashion statement, an extension of your personality and your artistic use of space. With the increase in the number of manufacturers and business offering their latest chair/ seating collections, it is easy to get lost in the world of choice. This is where Really Cool Chairs comes in. Really Cool Chairs promotes the coolest and unique chairs/ seating options on the market that are perfect for your home, office or garden. We want to inspire you to say ‘Wow, I want that chair!’ and on our site, buying that chair is only a click away. Start your journey and discover cool chairs today. Our aim is to bring the 'Wow' factor with every item that we promote. We want to be different from the rest and promote unique products that stand out. No one likes rubbish! If it doesn't look good to us, we won't promote it. Cool – Our aim is to bring the ‘Wow’ factor with every item that we promote. Unique – We want to be different from the rest and promote unique products that stand out. Quality – No one likes rubbish! If it doesn’t look good to us, we won’t promote it.